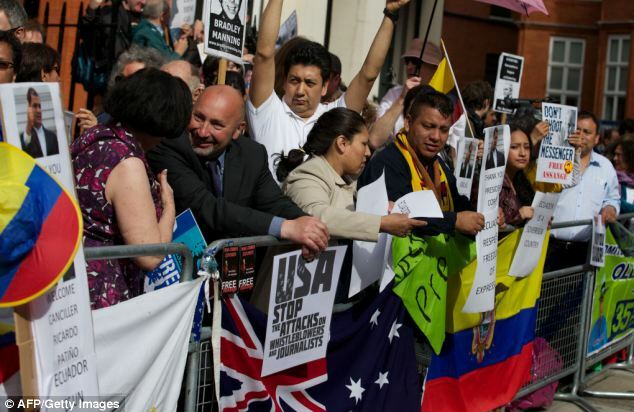 After news broke that Ecuador was planing on expelling Assange from their London Embassy, people gathered in the streets of London, and online voices blasted Ecuador's decision to deliver Assange to UK authorities, with eventual extradition to the United States. The Ecuadorian government was compelled to quickly release a statement refuting the news of Assange's expulsion. Comment by James Sinnamon: In this otherwise insightful and informative discussion of 8:53 minutes, I think Alex Christoforou and Alexander Mercouris are far too kind to the UK Labour leader Jeremy Corbyn. Corbyn has had six and a half years to act to force the UK government end its illegal detention of Julian Assange. Corbyn, who purportedly supports Julian Assange, could have easily led many thousands of Labour Party supporters to protest at the Ecuadorian Embassy in support of Julian Assange. Such a crowd could easily have escorted Assange to Heathrow Airport and onto a flight back to Australia. Certainly, had he spoken more loudly in support of Julian Assange in all of these years, it would have been politically impossible for Theresa May to have persisted with her government's criminal and secretive collusion with the United States against Julian Assange.